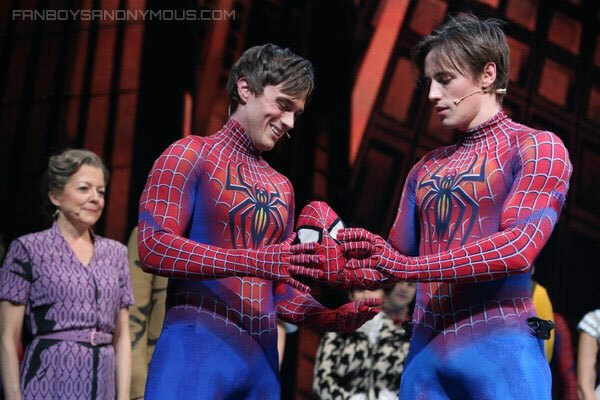 Broadway's Spider-Man: Turn Off the Dark has recast the part of Peter Parker and found their new Spider-Man in Justin Matthew Sargent, who was apparently an alternate for the role previously before being upgraded to replace Reeve Carney. Before you ask, the answer is no: Carney is not leaving due to an injury. Rather, he has been cast in an upcoming Showtime series called Penny Dreadful. I've yet to see Spider-Man: Turn Off the Dark and to be perfectly honest, I more than likely never will. Although the idea behind it was intriguing to me and I thought there was a chance they could pull it off, this production has just been one problem after another. Hopefully, Sargent will do a good job and luck will be on his side. What do you think about this casting choice? For that matter, what do you think of Spider-Man: Turn Off the Dark in general?